Customized funeral services by family owned Brewer & Sons Funeral Homes allow you to honor your loved one in the way that best celebrates the life that they lived. If you are handling arrangements for burial or cremation services of a loved one, we are here for you. We know this is a difficult time. That is why our Tampa Bay funeral directors and specialists help you to plan every aspect of your service, from overall style to the specific music, flowers, and structure of the ceremony. We assist in services ranging from viewings or wakes to celebrations of life, tribute services, memorial services, and graveside services or ash scattering options. We are your partners in this challenging time, and our main goal is to ensure that you, your loved ones and family, and any in attendance feel welcome and comforted by the ceremony. Whether you are seeking a traditional service with viewing, funeral, graveside service and reception, or want a simple goodbye for a few close friends, we will help to ensure that your wishes, or the wishes of your loved one, are honored and upheld. Call Brewer & Sons Funeral Homes at 813-835-4991 for your Free Consultation. 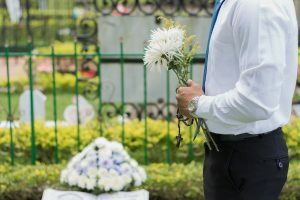 Just as your loved one lived a unique life, they deserve to have a unique funeral that is suited to honoring that life. Our celebration of life ceremonies can be completely personalized to suit your needs and desires, whether planning cremation or burial. From traditional or military services to completely customized services, Brewer & Sons Funeral Homes provides compassionate care. We get to know you, your loved one, and their personality and life choices to best recommend services that will be reflective of who they were in life. Music, flowers, location, service structure, and even the number of services themselves can all be customized to meet your needs. Whether you are desire a simple, single minister-led ceremony, or a large, modern ceremony where mourners have the opportunity to share memories of the deceased, we will accommodate those needs while ensuring the focus remains on honoring the one you have lost. When death has occurred, come to Brewer & Sons Funeral Homes with your special service requests. We provide honest, cooperative, and helpful assistance, and will do everything within our power to ensure that your service is as you desire. We support mourners as well, making it easy for them to send flowers, view obituaries, and sign virtual guest books. Every family member is provided the same care and personal attention. We even provide pet funeral and cremation services. Want to plan ahead for your own service to ensure it suits your desires? We also provide pre-need planning services. If burial is the chosen option for you or your loved one, our experienced, kind, and dedicated, funeral service professionals will guide you through the arrangement process. From assisting with casket selection based on your needs and budget to ensuring you have planned ample time for mourners to grieve, Brewer & Sons Funeral Homes helps to create a service that honors the life and memory of the dearly departed. We have both decaying and non-decaying options for caskets, based on your preferences. Our funeral specialists guide you through the selection process to help you choose the right one for your needs. If you need assistance planning a veterans burial and funeral servcie, please reach out to learn more about our military options including veterans headstones, veterans burial flags, and our “Taking Care of Our Own” services. The Heritage Celebration – 18 Ga. & 20 Ga.
A Tribute (Economy) 18 Ga. & 20 Ga. Brewer & Sons Funeral Homes is your Tampa, Florida funeral services provider, supporting you during one of the most difficult times of your life. We help you to say goodbye in a way that is reflective of the life that you are celebrating. Brewer & Sons Funeral Homes is your complete family owned and operated Tampa Bay funeral home and funeral services provider. 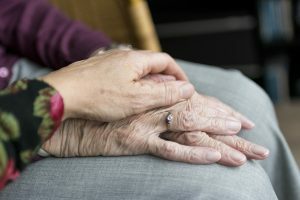 We handle every aspect of end of life, from ensuring the deceased is properly prepared for an open casket, if desired, to arranging other locations for services, and assisting with catering, floral arrangements, and even transportation. We even have our own cemetery properties with available gravesites, making us a truly one-stop provider. If you have questions about social security benefits, cremation packages, or other aspects of funeral care, we can help. Our service packages make it easy to ensure you have everything you need, while saving you money on purchasing services and items individually. Need help with items beyond what is listed here? We are here for you. From assisting with out of town travel and hotel arrangements to recommendations for qualified grief counselors to help those who remain behind to deal with the loss, we understand that the funeral is only one aspect of the grieving process. At Brewer and Sons Funeral Home, family comes first. We strive to make this time of loss less of a burden by providing complete services, expert recommendations, and by going the extra mile to ensure you, your loved ones, and the deceased are all treated with the utmost respect and compassion. 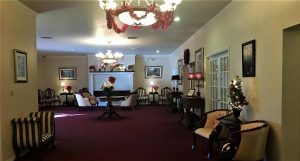 Providing complete, customized funeral services in Tampa, Fl, Brewer & Sons Funeral Homes is the right choice for supporting you during this challenging time. Let our family take care of yours. We are dedicated to providing appropriate funeral services that honor the memory of your loved one. 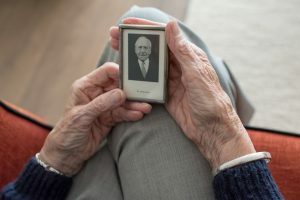 From traditional funerals to modern celebrations of life, Brewer & Sons Funeral Homes understands that every individual deserves a service as special as they were, and we deliver that for your loved ones. Contact Brewer & Sons Funeral Homes today to discuss your desires with an experienced Tampa funeral director. Call Brewer & Sons Funeral Homes at 813-835-4991 to request your free funeral services consultation! Highly recommend Brewers and Sons Funeral Homes and Cremation Services.